In January we published a popular list of the top 2018 conferences for digital health. While some of this year’s biggest industry gatherings have already happened – think CES or HIMSS – there are still opportunities to network before the new year. 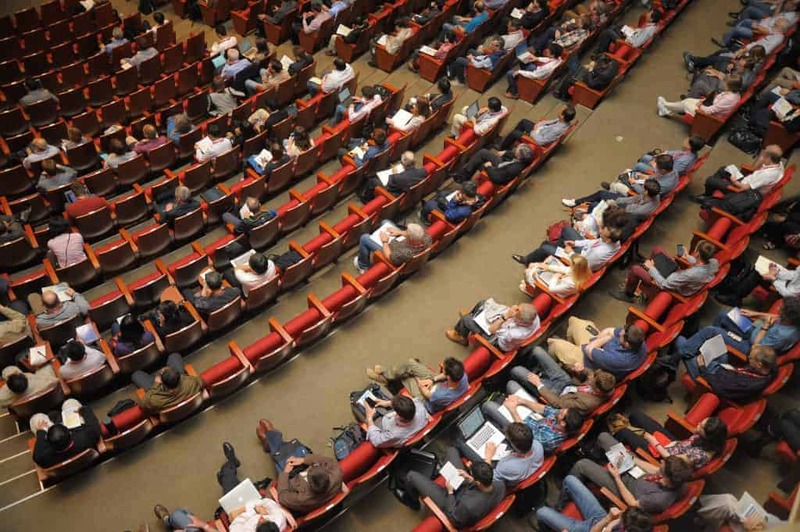 Conferences are one of the best places to learn about new developments and innovation in digital health, and the costs of attending nearly always pay off. If you are still trying to squeeze in a 2018 conference, here are twelve events where digital health and healthcare technology will make an appearance. These events are approaching fast – we’ve listed them in chronological order so you can quickly see what fits your schedule. Experience the only event for geriatric pharmacy care professionals, hosted by the American Society of Consultant Pharmacists. The conference features cutting-edge continuing education and over 100 exhibitors demoing the latest products and services for providing care to the senior population. This patient engagement conferences is an executive-level event that gathers leading hospitals, health systems, payers, pharma, investors and startup entrepreneurs. MedCit Engage is a great option for professionals ready to invest in their patient engagement program and the innovative startups that are transforming the field with digital health and other tech-driven solutions. GC3 is the 6th annual regional conference of the Alabama, Louisiana, and Mississippi Gulf Coast Chapters of HIMSS. HIMSS is a global non-profit focused on better health through information and technology. See the conference agenda for more information. The 2018 Primary Care Association (PCA) & Health Center Controlled Network (HCCN) Conference is titled “Elevating and Communicating Health Center Worth Through Partnership.” This is the only conference specifically targeting PCAs and HCCNs, which are critical organizations that support and advance policy goals and operational excellence for nearly 1400 community health centers serving more than 28 million individuals across the US. “Chaos+Clarity” is the theme of TEDMED 2018, the annual two-day gathering that brings together inspiring speakers, influential delegates, innovative start-ups and a passionate global audience. TEDMED is a global community of leading multidisciplinary thinkers and doers all passionate about shaping a healthier world. Modestly billed as “The world’s most influential healthcare event,” the Forbes HealthCare Summit gathers some of healthcare’s most powerful people for candid and open discussions that tackle controversial issues head on. Their goal is to turn healthcare’s challenges into new opportunities. “Playing with FHIR” is an opportunity for health IT developers to take a deep dive into HL7’s FHIR – the Fast Healthcare Interoperability Resources standard. FHIR server resources and sample data will be available for participants to work on new ideas and applications, while testing tools will be available for applications that are more developed. This conference, hosted by the Berkeley Resource Group, is expressly designed for senior executives from healthcare organizations, financial institutions, private equity firms, and law firms, as well as policy experts. It offers a unique forum for healthcare leaders to converge to discuss the most pressing issues facing the industry. If you want to attend you will need to request an invitation. The American Society for Cell Biology and the European Molecular Biology Organization co-host this conference billed as “The forum for discovering cutting-edge research in cell and molecular biology.” The 2018 meeting includes workshops on the latest scientific techniques as well as professional development and leadership training. systems.” The conference offers original, provocative education and relaxing recreational activities. MedTech Impact on Wellness is an educational session at the A4M/MMI Annual World Congress in Las Vegas. The expo and conference feature perspectives from clinicians, healthcare executives, technology and device developers and entrepreneurs. With a diverse array of panel speakers from across the healthcare technology industry, sessions will primarily focus on how to revolutionize the prevention, diagnosis and management of chronic disease.